Comic book battles don’t always take place within the pages of your favorite comic or graphic novel. Sometimes the people behind comics books — the writers, artists, and editors — become part of a tale more interesting that the one they are striving to tell. Let’s take a look at five such occasions, occasions where clashes between creative entities led to interesting editorial decisions, the end of working relationships, and the death of a major comic book character. Alan Moore is the best known co-creator of Watchmen, League of Extraordinary Gentlemen, and V for Vendetta. Moore also did a three-year-long run on Saga of the Swampthing that set the stage for series like Sandman, Preacher, and Y: The Last Man. While he holds a prolific and high quality resume, Mr. Moore is not above petty quarrels. 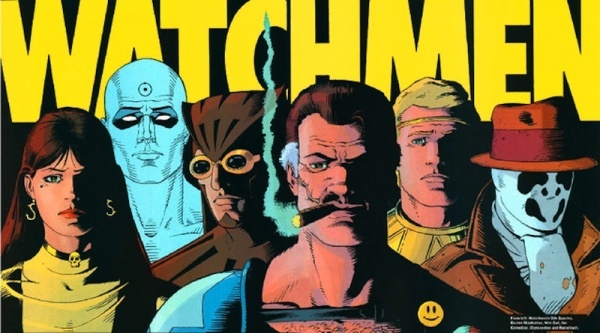 Stemming from a 1986 dispute arising from a disagreement over the rights to the DC mini-series Watchmen, Alan Moore argues that DC Comics stole the rights to the series through a canny legal means. 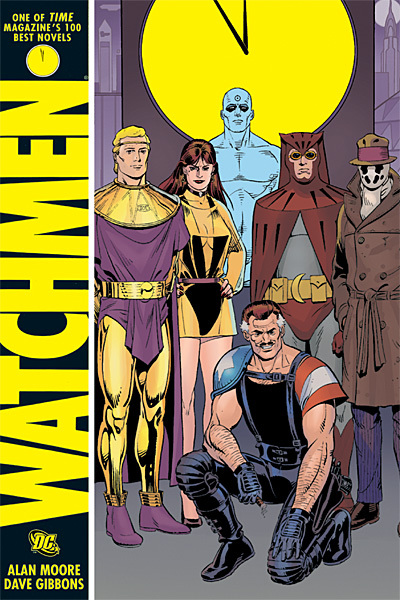 Moore and artist David Gibbons were to regain rights to the Watchmen series and the characters within if DC went a twelve month period without publishing the mini-series. However, thanks to the market for trade paperbacks that arose in the mid-1980s, Watchmen has always been in print in one form or another, denying Moore and Gibbons the right of reversion. Due to this dispute, Moore has not worked with DC since the late 1980s, however, Gibbons maintains cordial relations with the company. Moore also had a falling out with Watchmen co-creator and artist Dave Gibbons shortly after the release of 2009â€™s Watchmen movie. 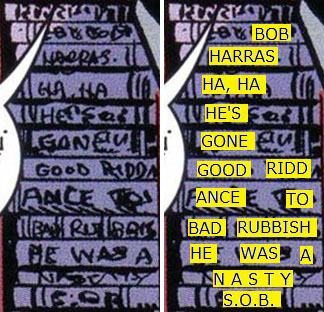 essage for Harras in 2001â€™s Earth X: Spidey, a one-shot story telling the tale of an alternate reality, overweight Spider-man. Marvel recalled the issue, but not before a small amount of the print run reached retailers hands. 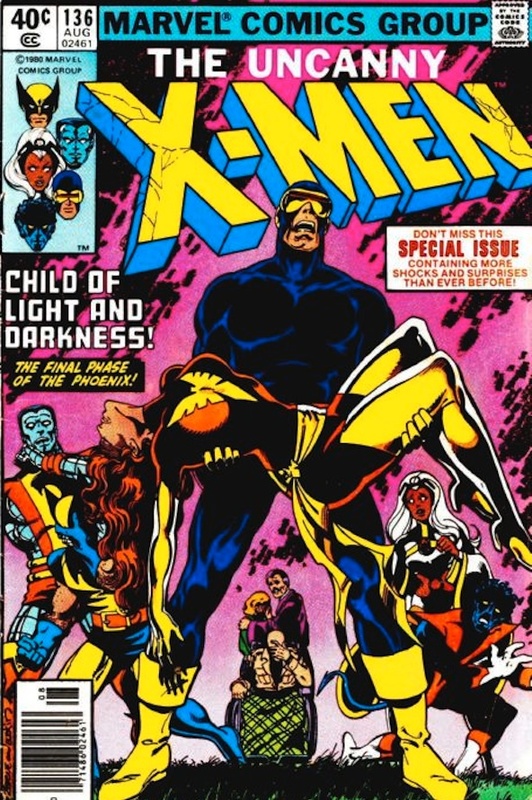 In the early 1970s, the X-Men became a reprint-only book on the verge of permanent cancellation. 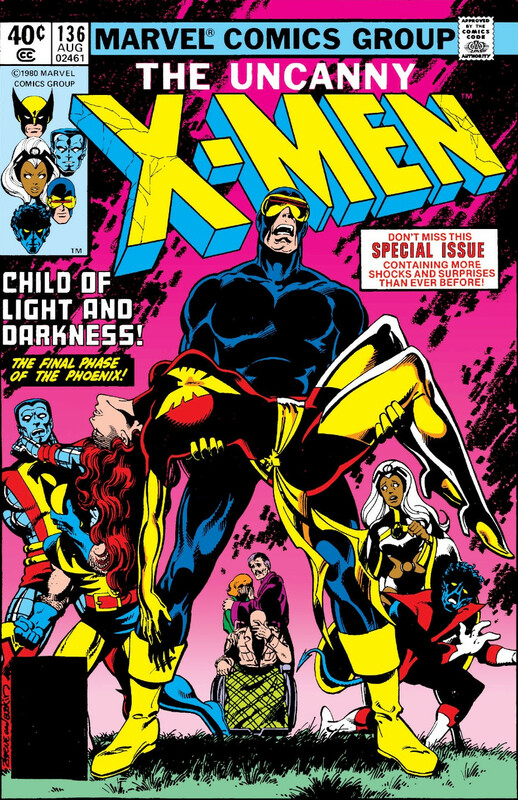 Starting with Giant Size X-Men #1, Colossus, Wolverine, Storm, and Nightcrawler were introduced as the â€œnewâ€ X-Men, leaving behind the majority of the original team, which included Iceman, Angel, The Beast, and Jean Grey. Jean Grey would re-appear in the pages of X-Men, but with her powers amplified as she became the all-consuming Phoenix. In X-Men #135, Jean Grey inevitably gives in to the power of the Phoenix force, destroying a space craft and an entire planet of alien beings in the process. X-Men penciler John Byrne and writer Chris Claremont planned for Jean Grey to be mind-wiped two issues later, forever forgetting about the Phoenix force and left with the mental capabilities of a pre-teen girl. When Marvel Editor in Chief Jim Shooter heard Claremont and Byrneâ€™s plan, he immediately shot down the plotline. Shooter claimed Grey’s punishment would be too light a former hero who killed billions. Shooter suggested that Claremont and Byrne place Jean Grey in a prison, a prison where she will be tortured for eternity. This bit of editorial insight not sit well with Byrne and Claremont. Claremont and Byrne prided themselves on efficiency, and when Shooterâ€™s decree came down they were already working on X-Men #138. The duo also felt the imprisonment of Jean Grey would set the X-Men up for a repetitive series on ongoing tales, with each involving an attempt to free their old teammate Jean. To rectify this, Claremont re-wrote the final five pages of X-Men #137, choosing to change comic book history and kill Jean Grey instead of imprisoning her forever. Not so much a beef, but an interesting public confrontation. During a 2006 San Diego Comic Con panel featuring Spawn creator and Image Comics Co-Founder Todd McFarlane, The Walking Dead creator Robert Kirkman sat in the audience to hear McFarlane speak. Kirkmanâ€™s The Walking Dead comic was already quite popular at the time â€“ the series was on issue #30, well into the height of its run. 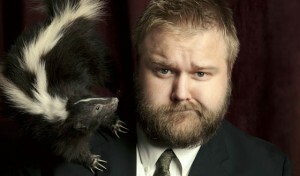 Robert Kirkman looks like a normal guy â€“ your normal comic book fan, a person easily lost in the midst of a convention crowd — at least before the success of AMCâ€™s The Walking Dead series and his appearances on Talking Dead. As McFarlane answered the crowdâ€™s questions, Kirkman inserted himself into the queue and publicly called out McFarlane for no longer working in comics and creating new characters, but instead choosing to concentrate on his McFarlane Toys line of comic book and sports action figures. Â McFarlane agreed with Kirkmanâ€™s comments to an extent, declaring himself open to collaborations. At this point Kirkman revealed that he was the writer of The Walking Dead. Whether the discussion was a planned stunt or a shoot is debated to this day, Todd McFarlane and Robert Kirkman teamed up to create the series Haunt in 2008. The launch off DC Comicsâ€™ The New 52 line in 2011 gave Deadpool creator and high profile 1990s Marvel and Image artist Rob Liefeld new life in mainstream comicsâ€¦for a while. Liefeld returned to the book he started his career on Hawk & Â Dove, as well as penciling Deathstroke and co-writing Grifter and The Savage Hawkman. However, in the August of 2012, the walls came crashing down. Liefeld began posting a number of tweets voicing his opinion on the current state of DC Comicsâ€™ editorial staff. Previously in that same month, Liefeld enjoyed Twitter-fights with Batman writer Scott Snyder over Twitter as well as Marvel editor and Senior Vice President of Publishing Tom Brevoort. As he tweeted, Liefeld continued to point to a single unnamed editor as the source of his problems while with DC in a relatively one-sided conversation. As he careened through Twitter, Liefeld indirectly named the editor, DC associate editor Brian Smith. Liefeld announced his departure from DC Comics during the Twitter barrage.Â He continues to taunt DC Comics via Twitter, announcing several planned DC cancellations prior to DCâ€™s official announcement at the October 2012 NYC Comic Con. Keith Veronese has a Ph.D. in chemistry and regularly writes for Gawker Media's science site, io9. His worked has appeared on the Gawker Media sites Lifehacker, Deadspin, Kotaku, and Jezebel in addition to Paste Magazine, AMOG, So Jones, Hip Hop Press, and FormatMag. Keith also has a non-fiction book in the works, Plugged In: Comic Book Professionals Working in the Video Game Industry, which will be released by TwoMorrows Publishing later this year.